William Ogilvy Dalgleish was a very prominent and well regarded business man and philanthropist. He was a principle benefactor to the University of Dundee Medical School and the Dundee Technical College, as well as many other civic institutions. 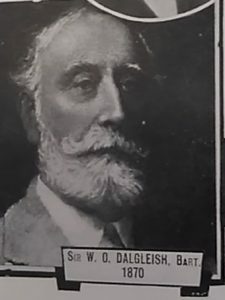 Sir William Ogilvy Dalgleish was born in Ferryport On Craig in 1832, the son of Captain James Ogilvy Dalgleish and Isobella Marshall Martin. In the 1851 Scotland census, W. O. Dalgleish, aged 19, was listed as a ‘clerk to a flax merchant’ and was boarding at Westfield Place in Dundee. Two pieces of information would assume the ‘flax merchant’ to have been that of Baxter Brothers & Co. Both William and his wife were generous and important philanthropists and benefactors to many institutions in Dundee, being associated with at least twenty eight voluntary bodies throughout the city, many with an emphasis on education and medical provision. Among them, the Royal Infirmary; Dundee University Medical School; Dundee Free Dental Dispensary; Dundee Eye Institution; the Mars Training Ship; Dundee Art and Technical College; Industrial Schools; the Young Mens and Womens Christian Association; Sailors’ Home; Seamans Friends Society and the Blind Institution. In 1895, William was listed as having donated £3000 to the Royal Infirmary. In the 1909 ‘Dundee Yearbook’ his generous contribution of £11,000 for the completion of the new Art School and Technical Institute is noted. Both Sir William and Lady Dalgleish were generous supporters to the Dundee Institution for the Blind, as were Lady Dalgleish’s parents. The 1897 report for the Institution contains portraits of Sir William and Lady Dalgleish alongside portraits of Mr and Mrs Francis Molison, the parents of Lady Dalgleish. The Molisons gifted the Institution a property, Dallfield House, in 1865 and a further property in Magdalen Green, which was opened in 1885, with William Ogilivy Dalgleish as President. 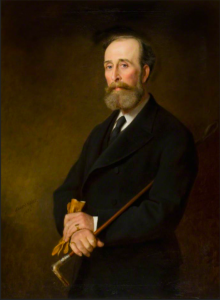 With respect to the Albert Institute, Sir William, aside from his initial generous subscription of £300, donated a further £1,000 for the installation of electric lighting and donated artworks to the permanent collection of the Gallery. 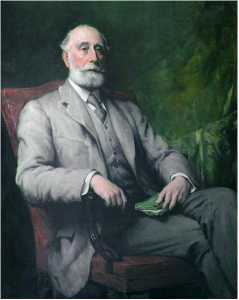 Aside from the Chairmanship of Baxter Bros & Co., Sir William had many different business interests and was Director of Dundee Northern Assurance Co; Dundee Perth and London Shipping Co; Scottish American Investment Trust; Northern American Investment Trust; Highland Railway Co. The golden wedding anniversary of Sir William and Lady Ogilvy Dalgleish was noted with an article, together with photographs of them both, in the Dundee Year book of 1910. 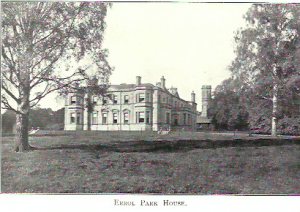 The inhabitants of Errol presented them with a gold loving cup as a measure of their esteem. The citizens of Errol were indebted to the Dalgleishes for several improvements to the village, among them the provision of a clean water supply, improvements to the village streets, sanitation and housing. Sir William Ogilvy Dalgleish died, aged 81, on the 21 December 1913. He was survived by his wife and a brother, James Ogilvy Dalgleish. He was interred at Errol Churchyard on 24 December 1913. The Dundee Courier published an comprehensive description of his funeral service, including an extensive list of the mourners, many representing the civic institutions and charities that Sir William had supported. Sir William Ogilvy Dalgleish became an extremely wealthy gentleman, leaving his widow his fortune of £706,023 15s 4d. Old Parish Registers. Ferryport on Craig. Births. (1832). 429/ 30 65. Scotlandspeople website. Statutory Registers. Dundee. Marriages. (1860). 282/1 107. Scotlandspeople website. Census Returns. Dundee. (1851). 282/23 7. ED 23 Line 5. Ancestry website. Census Returns. Dundee. (1861). 282/1 32 31. Scotlandspeople website. Census Returns. Errol. (1891). 351/ 7 118. Scotlandspeople website. Statutory Registers. Errol. Deaths. (1913). 351/ 25. Scotlandspeople website. Dundee Evening Telegraph. 24 December 1913. p.3. Findmypast website. Dundee Courier and Argus. 4 July 1892. p.3. General Election Scottish Candidates. Findmypast website. First Report of the Directors of the Association in Dundee for Teaching the Blind to Read. Accessed in Lamb Collection, Dundee Central Library, Local Studies. The Dundee Institution of the Blind Report 1897. p6. Notes on Past Presidents of Dundee Chamber of Commerce. University of Dundee Archives. UR-SF/32/9/4. Enid Gauldie Papers. Dundee Weekly News. 17 December 1881. p.5. Accessed via British Newspaper Archive website. Ninety First Annual Report. Dundee Royal Infirmary. Accessed in Lamb Collection. Dundee Central Library, Local Studies. Dictionary of Scottish Business Biography. Vol.1. The Staple Industries. pp.350-353. Census Returns. Dundee. (1871). 282/ 4 30 43. Scotlandspeople website. Dundee Postal Directory, 1861-62. p114. Dundee Central Library, Local Studies. Dundee Postal Directory, 1864-65. p.95. Dundee Central Library, Local Studies. Gauldie, Enid. (ed.) The Dundee Textile Industry 1790-1885. From the Papers of Peter Carmichael. Edinburgh. (1969).T & A Constable Ltd. p.210. Dundee Postal Directory, 1858-59. p.121. Dundee Central Library, Local Studies. Gauldie, Enid. (ed.) The Dundee Textile Industry 1790-1885. From the Papers of Peter Carmichael. Edinburgh. (1969).T & A Constable Ltd. p.175. Melville, Lawrence. The Fair Land of Gowrie. (1939). Coupar Angus. William Culross & Son Ltd. p.68. Melville, Lawrence. The Fair Land of Gowrie. (1939). Coupar Angus. William Culross & Son Ltd. p.65. Melville. Lawrence. 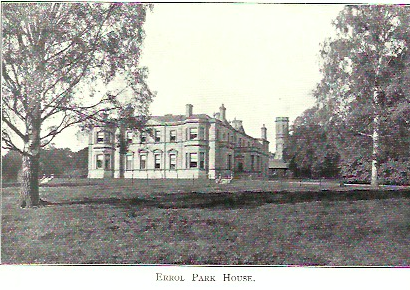 Errol: Its legends lands and people.(1935). pp.92-93. and 156. Dundee Courier. 20 May 1986. p.6. Findmypast website. Dundee Year Book. 1895. p.13. Dundee Central Library, Local Studies. Dundee Year Book. 1909. p.62. and pp.110-111. Dundee Central Library, Local Studies. Dundee Institution of the Blind. Accessed in Lamb Collection, Dundee Central Library, Local Studies. Dundee Institution of the Blind. Opening of the New Institution Magdalen Green, Dundee, 15 January 1885. Accessed in Lamb Collection, Dundee Central Library, Local Studies. Millar, Alexander Hastie. Jubilee of the Albert Institute 1867-1917. A Record of the Work of Fifty Years. p.51. p.69. Dundee Year Book. 1896. p.8. Dundee Central Library, Local Studies. Dundee Year Book. 1902. p.7. Dundee Central Library, Local Studies. Dundee Courier. 3 July 1902. p.6. Findmypast website. Dundee Year Book. 1910. p.95. Dundee Central Library, Local Studies. Dundee Courier. 25 December 1913. p.5. Accessed via British Newspaper Archive website. Scotland National Probate Index Calendar of Confirmations and Inventories. Accessed via Ancestry website. The information above about William Ogilvy Dalgleish has been collated from a range of digital and hard copy sources. To the best of our knowledge it is correct but if you are relying on any information from our website for the purpose of your own research we would advise you to follow up the sources to your own satisfaction. If you are aware of an inaccuracy in our text please do not hesitate to notify us through our Contact page.